Mike Skwarek, Argonne’s Cyber Security Officer, is an expert on how to protect yourself today in the information age. He’s shared some tips on how to keep personal information protected and hackers at bay. 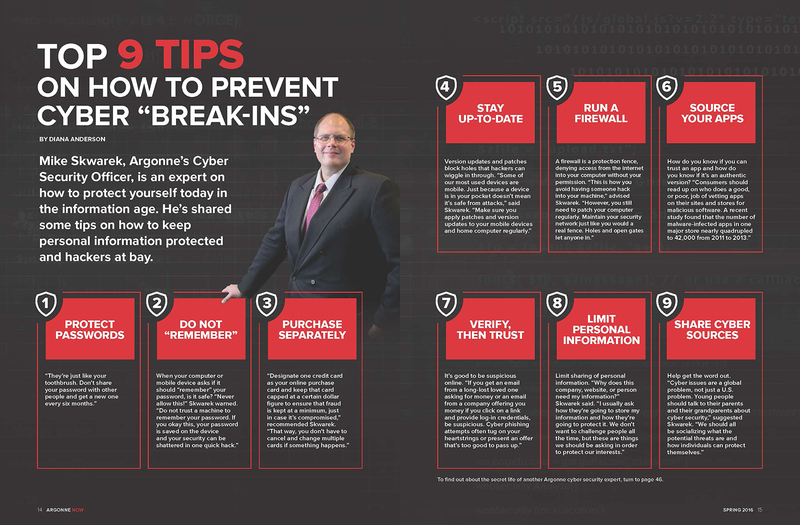 Cyber security expert Mike Skwarek shares tips on security in the digital age. Click image to view larger or download for educational purposes.